I keep hoping that if I wait just a little longer to write this post, that I’ll gain more distance from the adventure, which will allow the words to flow freely…broad brush strokes instead of detailed dabs of colour. But that isn’t happening. The longer I wait, the more the story breaks down into an ambiguous impression: a stamp on my soul which has altered me forever but doesn’t lend itself to words or posts. So, I need to write something. A post to be edited later. Part one, part two, etc. Whatever and how ever many posts this turns into, it will only capture a small part of what was one of the greatest adventures I’ve ever had. For this first post, I have decided to focus on the group who travelled with me. 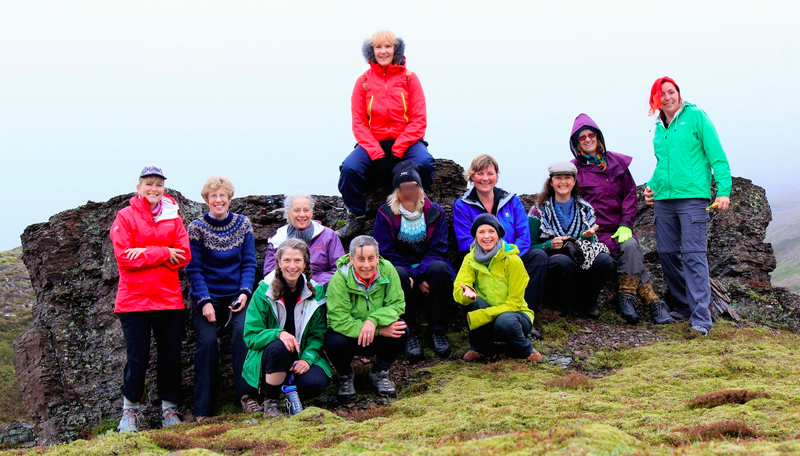 There were 14 of us, all knitters, all hiking over mountains in East Iceland. 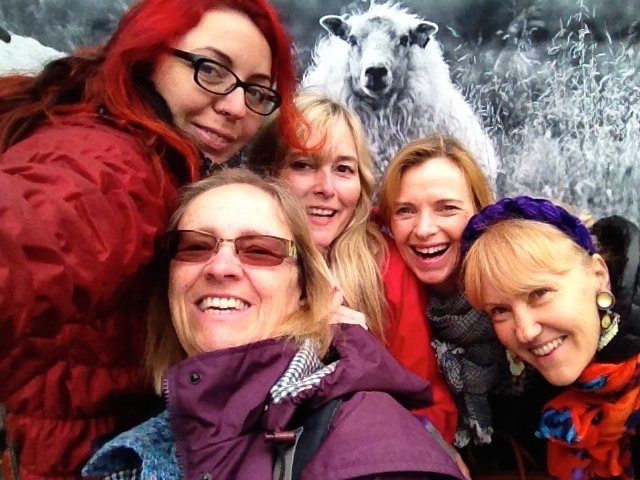 We came from all over: Iceland, Canada, U.S, South Wales, North Wales, and France. If you have ever considered joining a pre-planned trip with others, perhaps you can relate to the nervousness I felt pre-trip. Who would be on the trip with me? Will we all get along? Would I fit in? Would they all be incredibly savvy knitters, leaving me to be the awkward newbie? I was uncertain about the trip. I had doubts about travelling so far, alone. I also had doubts about spending so many days with a group of strangers. But now, if someone were to ask me for advice, I would say to go for it! Open your mind, jump at the chance and don’t look back! The women in our group made the trip absolutely spectacular. 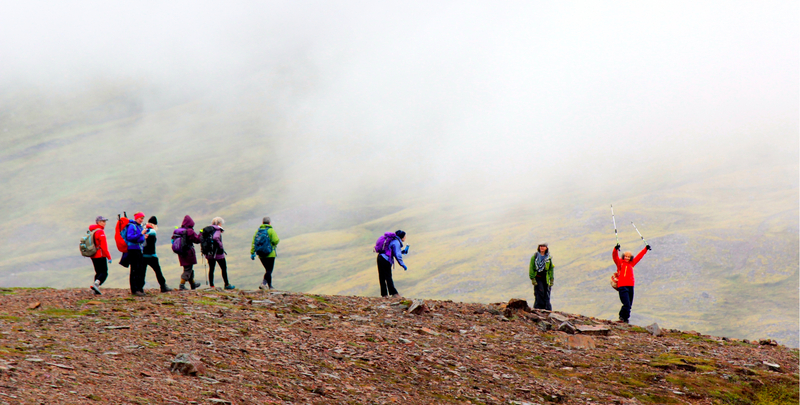 I mean, Iceland IS spectacular all on it’s own but the friendship and support of my fellow travellers is what carried us over mountains, still smiling and laughing on the other side, even when we were tired. It’s what kept us up until the wee morning hours day after day, chatting, laughing and knitting (well, the fact that we had no darkness 24/7 didn’t hurt!). After a few weeks of “oh my gods, what have I done?” (and a pep talk from B telling me how fantastic it was going to be), I took my own advice. Our fantastic hiking group, minus two: one hiker (who took the picture) and our awesome cook (who was hiking a different trail so as to arrive at our destination before us and get dinner started). I went to Iceland to experience the country and meet people. To make connections. To open up to the community and the spirit of the land. And I did. From the moment I arrived, I talked to everyone. I greeted people on the street, in coffee shops and when our group finally came together a couple of days after I arrived, I was on a roll and ready to go! And so started an incredible week-long journey! 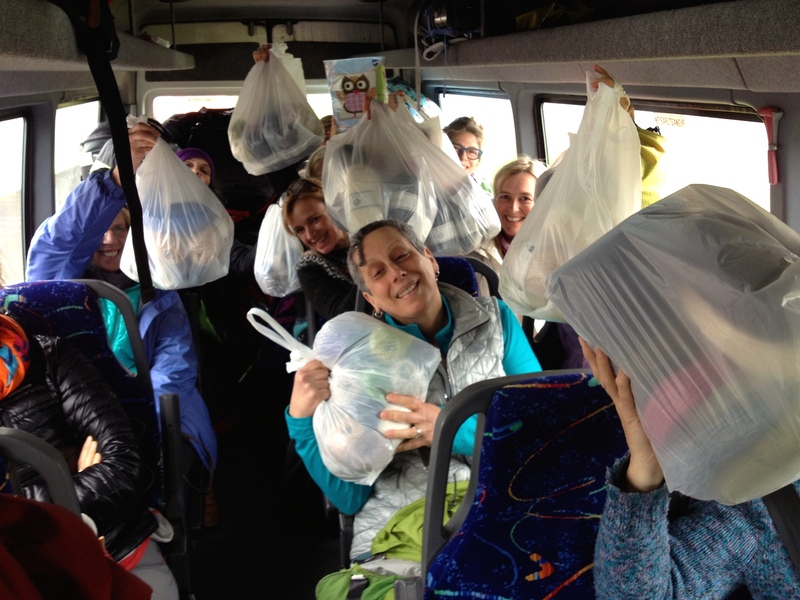 We shopped…oh boy, did we ever shop! Did we EVER shop!! Luckily, yarn weighs little and smushes into small spaces pretty easily! 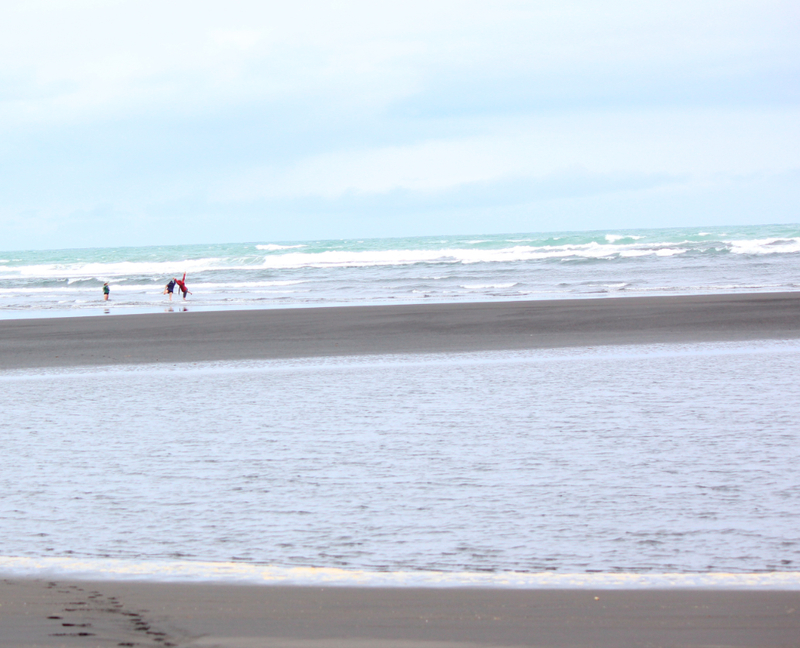 We danced in the ocean…. Even after the trip was over, those of us who were staying for a few extra days spent the remaining time wandering Reykjavik! 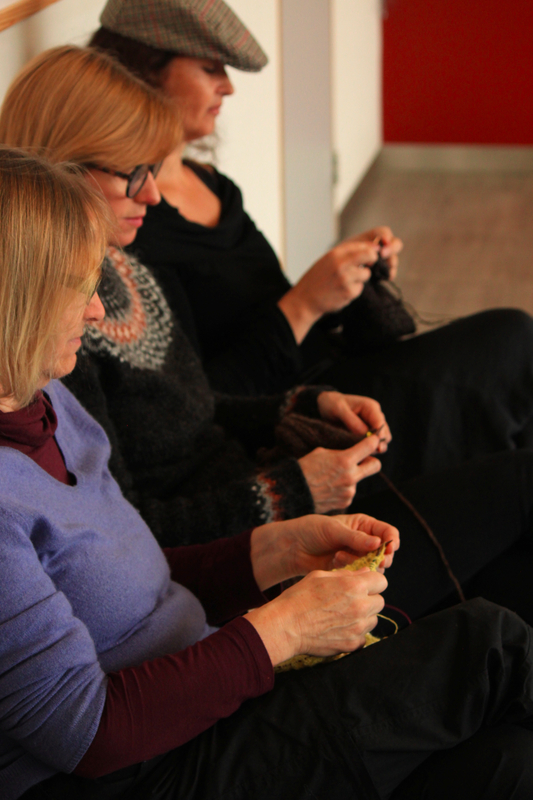 We practiced knitting tricks and tips in busy coffee shops…. 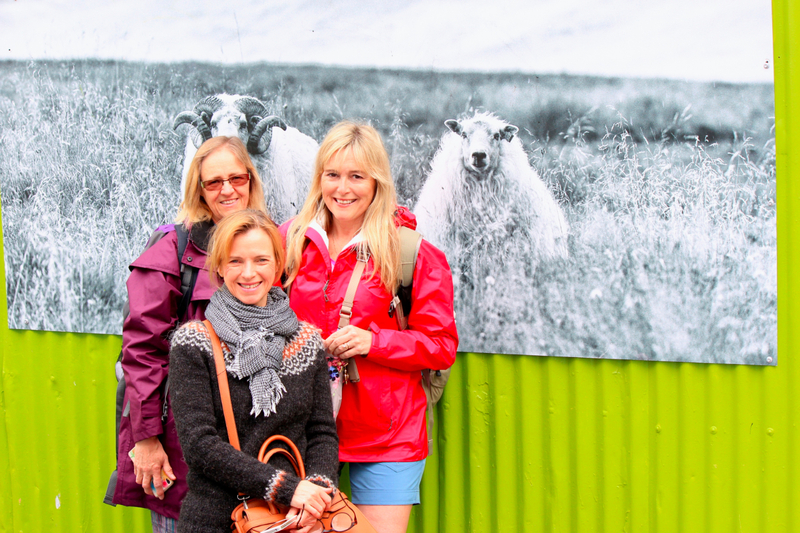 Spent an afternoon learning to cook and bake Icelandic flatbread and meringue cookies…. Jane and I spent an afternoon with Heiða learning to make flatbread and these delicious meringue cookies filled with bits of black liquorice covered in chocolate! So good! Thank you Heiða for your hospitality! Had such a good time! And overall…just enjoyed each other’s company! Ladies, you all made my trip an experience I will never forget!!! Previous postSolid Skull Scarf Crochet Pattern – Now available in German!